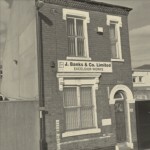 The company was founded in 1846 by Jacob Horace Banks on a site in Wood Street, making padlocks. Kelly’s directory of 1900 lists Jacob Banks, as padlock makers. There is a sketch in the Willenhall Lock Museum showing his original sketch for some padlocks in 1906. Jacob had two sons, John and Horace. John set up on his own, making night latches, while Horace joined his father making padlocks. In 1912, John joined Horace in the original Wood Street premises. During the 1914 – 1918 war the company also manufactured a metal bulletproof vest that was offered for sale to soldiers. John’s son Horace could remember as an 8 year old boy standing outside the Moleneux football ground at Wolverhampton distributing leaflets about the vests. The Willenhall Historical Society has a sample of the vest and some advertising literature that was presented to them by Horace. John lived in a house on the site of the works. In 1920 a fire burnt down the works, and John’s son Horace could remember being carried down stairs and away from the fire by his father. He then had to call the fire brigade, who had to go and catch a horse in a local field to pull the fire appliance before they could deal with the fire. The works were extensively damaged and were rebuilt as they stand today. During the 1939 – 1945 war along with other products the company started to manufacture two types of kit bag handles for the Army and Navy. They were still being produced in 2001. At the end of the war they returned to manufacturing an extensive range of padlocks. Trade names included Cameo, Consul, Majestic and night latches, pin key type not pin tumbler. 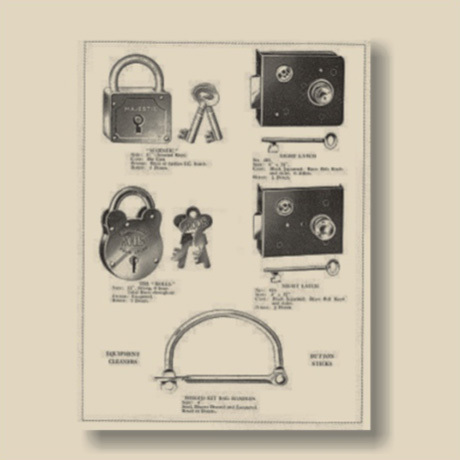 In 1946 John Banks added a new padlock to the range known as Rolls (i.e. The Rolls Royce of padlocks). It was manufactured to a very high standard. On Christmas Eve 1940, the Dutch vessel Breda was bombed during a German air raid on Oban roads, whilst in convoy from London to Mombasa and Bombay. Although the bomb was not a direct hit, she suffered damage in the form of a fractured cooling water inlet pipe, and taking in water, made her way, under her own power, to the east shore of Ardmucknish Bay. There, Captain Johannis Fooy beached her on a shelf which extends 600 yards out to sea, where the depth is still only 6 metres. 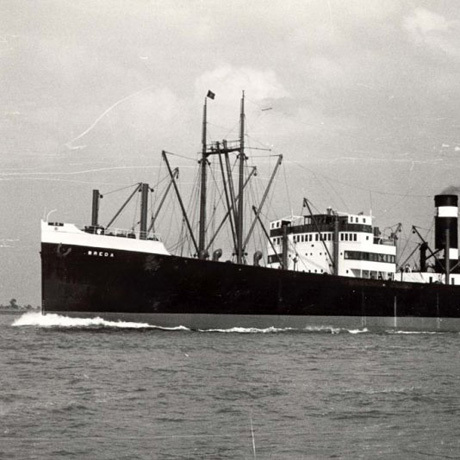 In 1966 the wreck was rediscovered by Edinburgh BSAC divers, and despite the loss of her bridge, derricks and funnel, still looked undamaged and ready to sail again, if she could be raised to the surface. The sunken ship remains at a depth of 26 metres (85ft) and has long been a popular dive site, with some of her remaining cargo still being accessible. In 1992 a diver found a wooden crate, we believe in hold No 1. Whilst the timber crate was rotting away, inside the crate was Brass Button Sticks manufactured by J Banks. The Brass Button Sticks were used to protect the fabric of a uniform or coat whilst cleaning buttons. The stick would be placed behind a button, the polishing cloth could make contact with the button and the stick would prevent the fabric from being damaged. 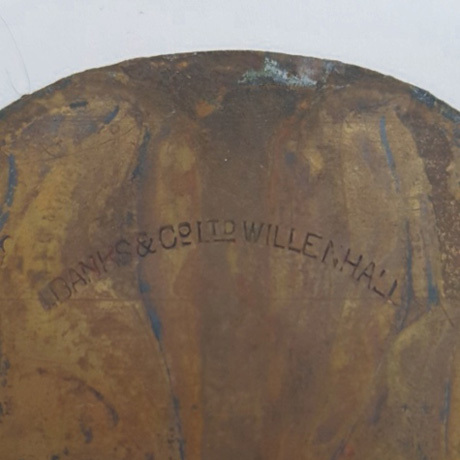 The sticks were stamped with J Banks & Co Ltd Willenhall and the diver traced them back to us and returned a handful that we still have today on display. On the death of John and Horace, Horace’s son Tony ran the business from the late 1950’s. Tony was a Bevan boy at Hilton Main Colliery from 1945 to 1948. This is ironically the present day site of the company. By this time they were manufacturing locks that were fitted on top of leather cases used in the coal mining industry for carrying detonators and explosives. Whilst John’s son, also called Horace became a tool maker, eventually becoming a partner in Orwill Engineering. Horace died 26th March 1996. 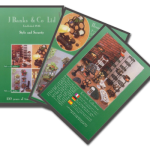 Tony announced his retirement in 1991 and John Wellman who had previously been acquainted with Tony, informed his father, David Wellman, of this business opportunity. David Wellman joins On the 7th December 1991, the business was sold to Johns father, David Wellman and his partners, Mr and Mrs Hipkin, under whose guidance they diversified into cast houseware products, door and window fittings to bespoke and “in house” design, while still continuing to supply padlocks, budget lock’s and various locking devices. Following Mr & Mrs Hipkins retirement, David Wellman together with his wife Glenys Wellman procured sole ownership of J Banks in April 2004. With the companies wealth of experience and its proactive approach to market forces and ever changing needs of the industry the company concentrated on Door and window hardware with David re-designing their first ever window restrictor, the Concealed Short Arm Restrictor. 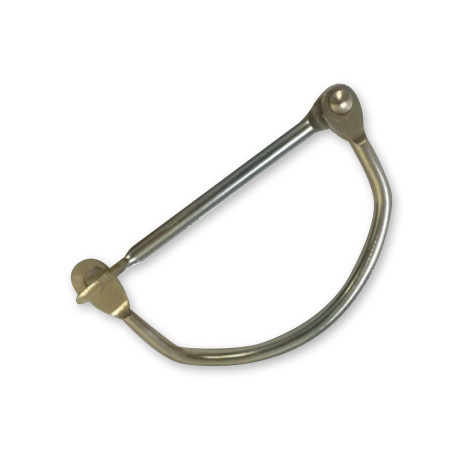 The major success of this restrictor led to the pioneering design and development of a multitude of locking and non-locking window restrictors, Window Handles, Hinges, Budget Locks and a wide variety of press work, turned parts and bespoke products. 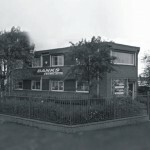 Due to the success of the company, on the 3rd January 2005 J Banks relocated to larger premises in Tipton. This move enabled the company to continue improvement and investment in the very latest state of the art equipment. CNC Vertical Machining centres, employing high precision CAD/CAM software and manufacturing techniques together with highly qualified and experienced engineers and designers offering a full design and development service to the door and window industry. 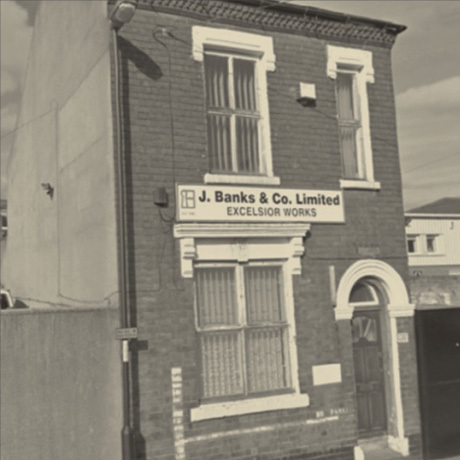 In 2008 David & Glenys made further investment and acquired Serco (Plastic Injection) Moulders based in Woden Road, Wolverhampton and then later in 2010 together with their son Mr John Wellman the acquisition of PDT Plastics in Wednesbury, where John was appointed as the Managing Director. These two companies merged into Serco (Plastic Injection) Moulders and moved under one roof to the Wednesbury site. This strategic addition to the J Banks Group rapidly provided growth and positive value. This major expansion and success led to the relocation and centralisation of all three Companies. 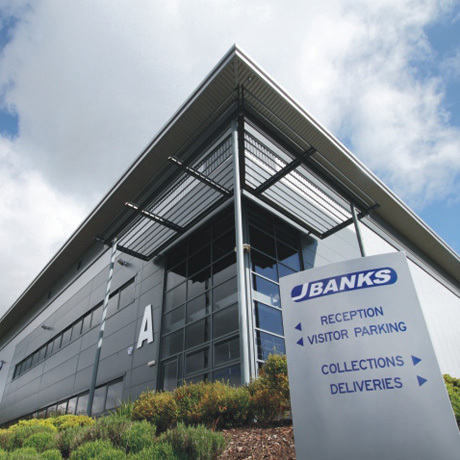 On the 1st January 2012, JWM Turned Parts, owned by John, Serco (Plastic Injection) Moulders & J Banks successfully integrated and moved under one roof to a new purpose designed 40,000 sq. ft. site at Vernon Park, Featherstone, Staffordshire where John became the Managing Director enabling the succession of this historical family run business. In August 2014, J Banks sponsored a B-25 Mitchell Bomber at the Dunsford Wings & Wheels Air show. This was in memory of David’s father, the late Mr Alfred Wellman, who was the wireless operator and gunner on board this type of plane during the 1939-1945 War. This was a thoroughly enjoyable day out for all the staff who went along to support and join in this prestigious Air show. 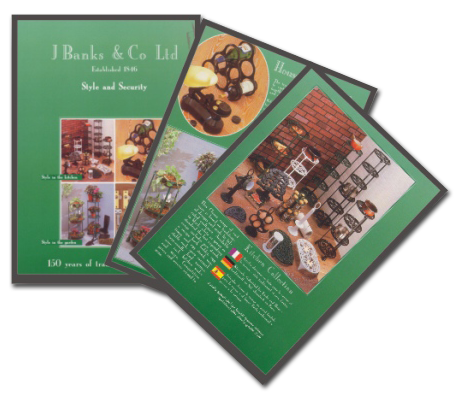 Today J Banks & Company limited major in the design, development and manufacture of hardware and restrictors for the door and window industry, with their main customers being System Companies, fabricators and distributors. The Company remains a strong, family run business today as it did 170 years ago.